PiCOWso | CowParade Retired Figurines | One Price Low Flat Shipping! From the CowParade Retired Original Chicago 9 Collection,PiCOWso. Made of ceramic. Measures 4" x 6". Featured at the CowParade Chicago 1999 exhibit. 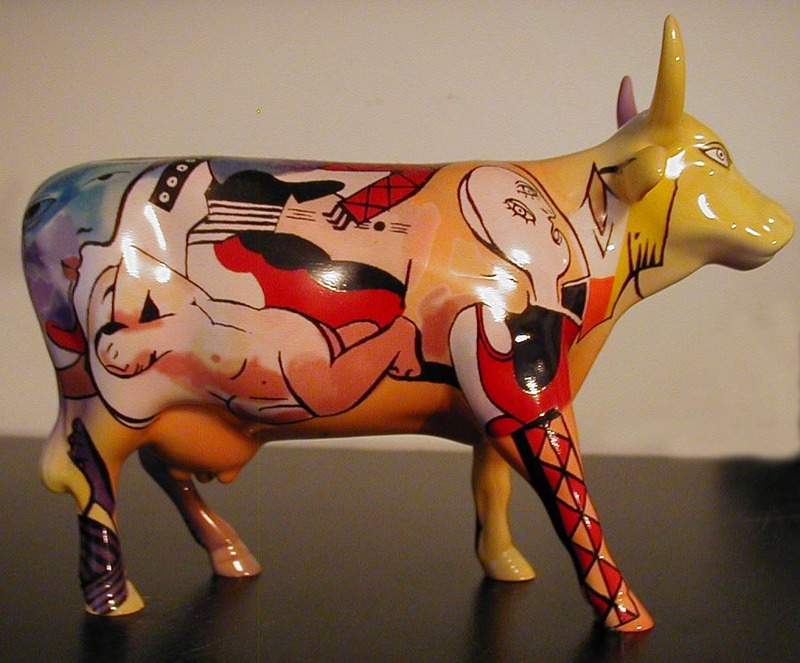 This rare cow figurine is styled to look like a Picasso painting, with his unmistakable style of nudes, bright colors, and cubist influence. Mint condition, original box and tag.